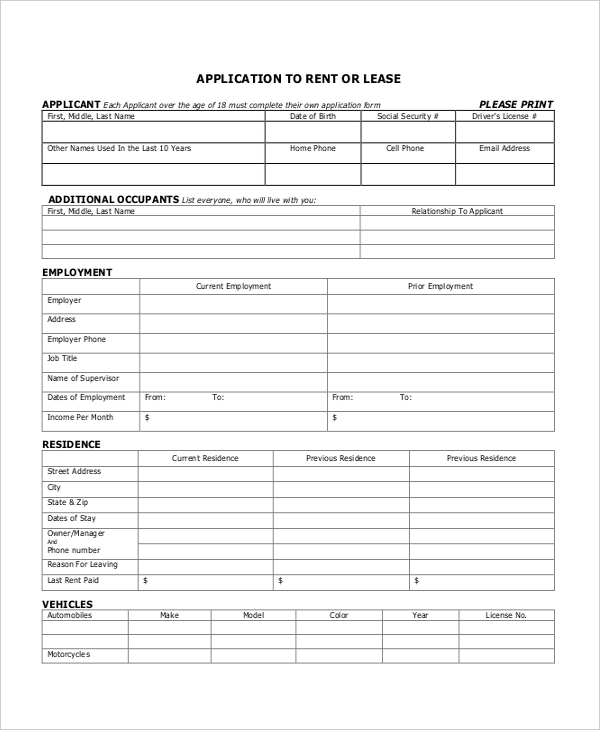 An apartment rent lease form is a document which is used when a landlord is renting out his or her apartment to a tenant for a specific period of time. The document spells out the guidelines of the lease, rent payment terms, security deposit, description and address of the property, and tenure of the lease. 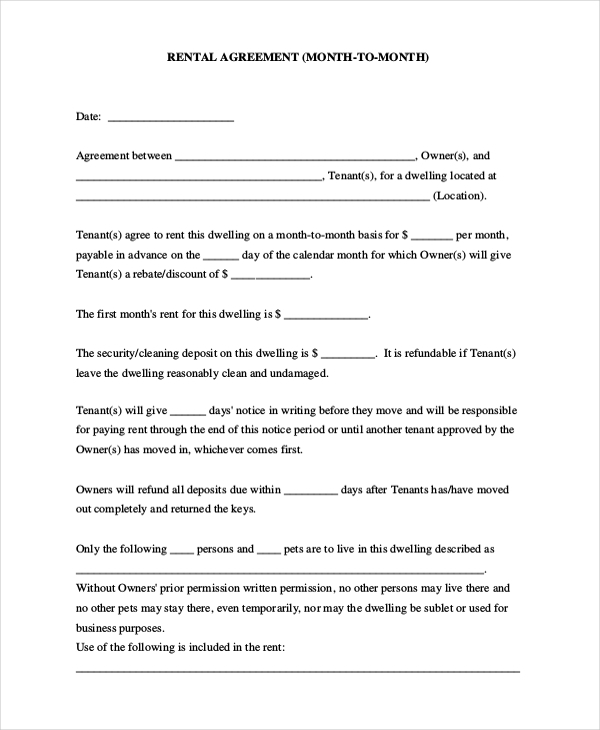 Before handing over the keys of a residential property to a tenant, an apartment lease form is necessary to be filled and signed by both the landlord and the tenant. The form is comprehensive and elaborate. It clearly specifies all the terms and conditions of the lease, including the terms of property violation and damages. 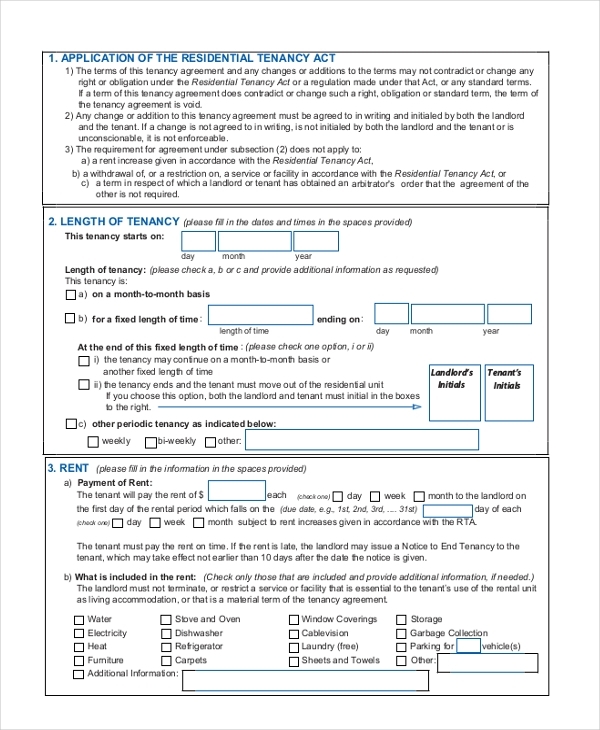 If an individual is hoping to secure a tenancy in any city or state, it is required that they fill out and submit an apartment lease application form. The form includes all information about the applicant including tenancy history, employment status, residential address and details, ownership of vehicles, and personal references. 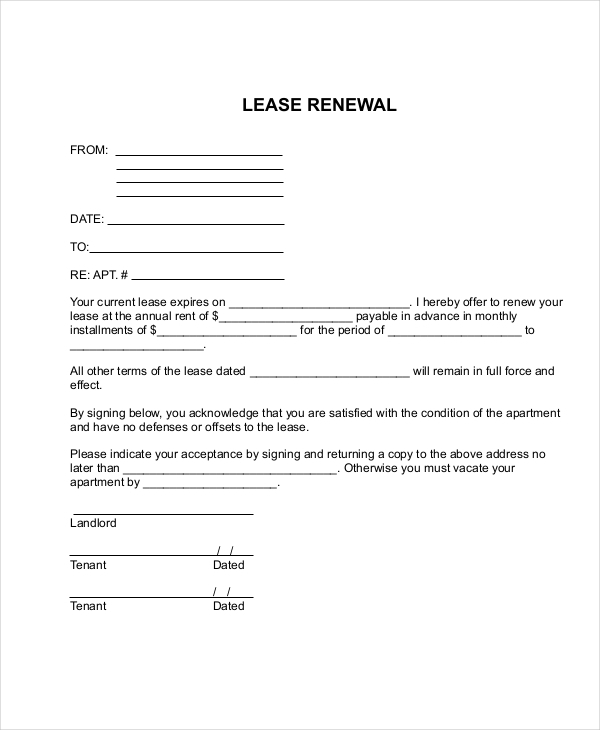 If a landlord wishes to renew an apartment’s lease, it is advised that he or she expresses their intent in writing by filling out an apartment lease renewal form. 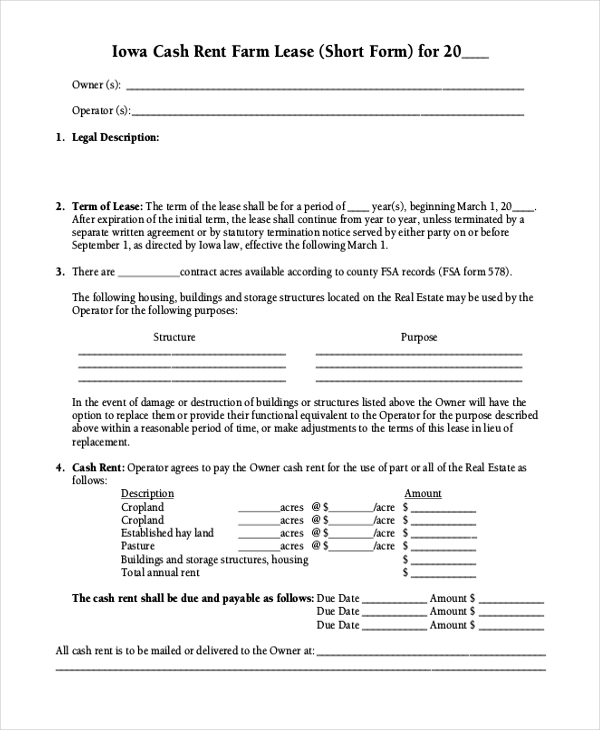 The form contains information about the expiration of the existing lease agreement, followed by lease renewal (to and from dates) and the annual rent amount (including the installments amount). 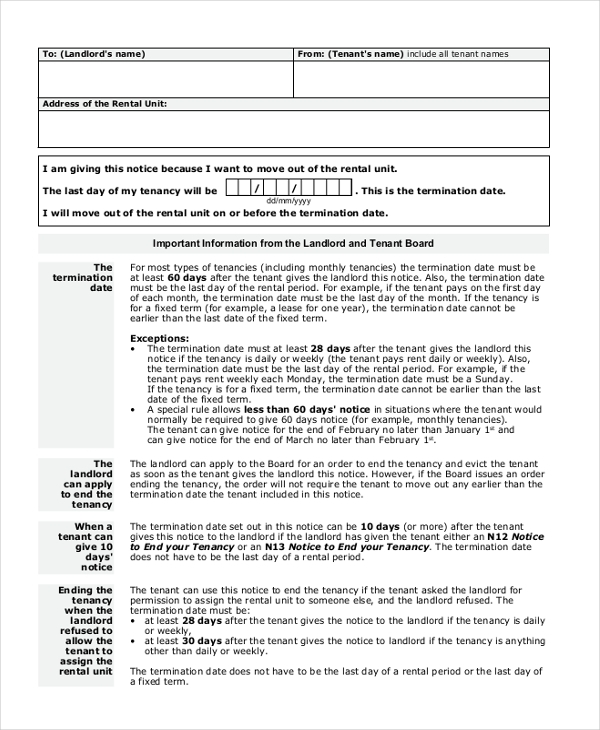 An apartment lease termination form needs to be filled out and submitted to the landlord in case a tenant wants to move out of their property sooner than the date specified in the apartment lease form. An apartment lease short form is supposed to be filled out by the landlord and the tenant. The document stipulates the terms of the lease, also specifying the measurement of the property, description of terms and the conditions of rent payment, due dates of the rent payments etc. As a landlord, if you want to lay down the terms of a monthly payment cycle for rent, an apartment lease form (month to month) is apt for the purpose. The form needs to be filled out with the relevant details – including names of the tenant and landlord, monthly rent amount, security deposit and refund terms, and other important terms and conditions. 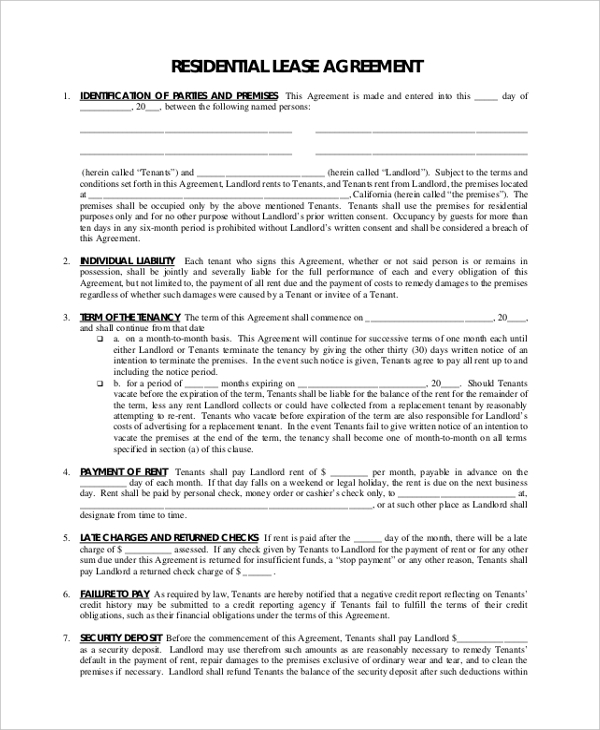 An apartment lease form is usually used by tenants and landlords. The usefulness and importance of an apartment lease form are simply that it provides a security cover for the tenant and landlord, and most importantly it provides clarity as far as terms and conditions of tenancy and rent payment are concerned. Moreover, if the leased property suffers and already has damages, both parties can and must follow the terms of agreement mentioned in the form. In apartment lease forms which are more elaborate and detailed, several other aspects of tenancy are also included and explained in detail. Whether you’re a tenant or a landlord, it is important that you’re aware of the rules pertaining to the apartment lease. There’s no need to panic if you do not have the know how an apartment lease form is supposed to be prepped. You can always count on our website to provide you ready-made and editable samples to work with and use.